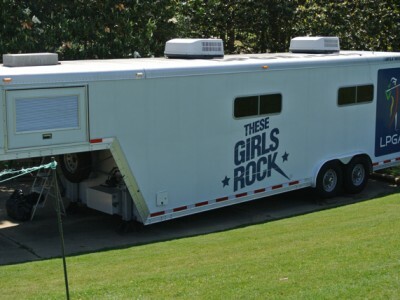 The THP Tour Van has been on the scene this week in Mobile, AL for the LPGA tournament and for those of you that like golf coverage, the THP look into things is rather unique. Tons of pictures and videos have been put up in the THP Forum and you can access them all by clicking here. We want to thank the fine folks at the LPGA and RTJ Magnolia Grove for their incredible hospitality in hosting the THP Tour Van and giving us front row seats (parking) for our unique coverage. Join us in the THP Forum and check out all the pictures and videos by clicking here for our Golf on Tour section. A Unique look at the ladies on the green during a practice round. And there is much more coming today. The coverage thus far has bar none, been the best I have ever seen from a behind the scenes perspective. Not only are we learning neat bits of practice habits, but great videos and photos posted within an hour of them being taken is very impressive and appreciated. Keep up the stellar work from the THP Mobile Headquarters!! Thanks for doing this. It’s great to get an inside look at how these professionals prepare. This has been a great look at the LPGA and being able to see what goes into prepping and playing at this level is awesome. Thanks for allowing the access to THP, LPGA!! You rock! Absolutely great work, THP. An awesome look behind the scenes. Thanks for all you do for us, THP! Awesome. I love hearing and seeing more about the LPGA as it currently doesn’t get a lot of coverage over here. Hoping that will change! Great work by THP and it seems like the LPGA officials and players have been most welcoming too! Great coverage of the LPGA! Thank you for bringing us a new perspective and giving us a more ‘inside’ look into the Tour. What a combo, LPGA & THP coverage. It is been great and I am following everything offered this week. 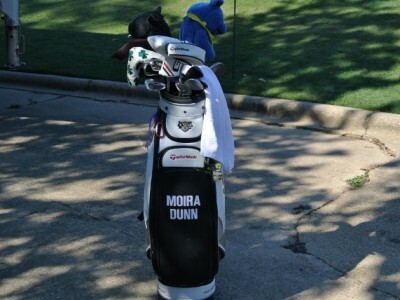 I love the up close and personal coverage, the LPGA ladies are awesome. Keep up the good work. This is fantastic coverage of a tour that doesn’t get nearly the exposure it deserves. All the pics and video have been great and seeing how all the ladies prepair for an event has been a treat. Beautiful beautiful pictures THP!!! Thanks for the shots and the coverage! Super coverage and thanks so much for giving the ladies some coverage they never seem to get from anyone else. Thanks to THP for the great coverage. Great to see the LPGA getting the love they deserve! !